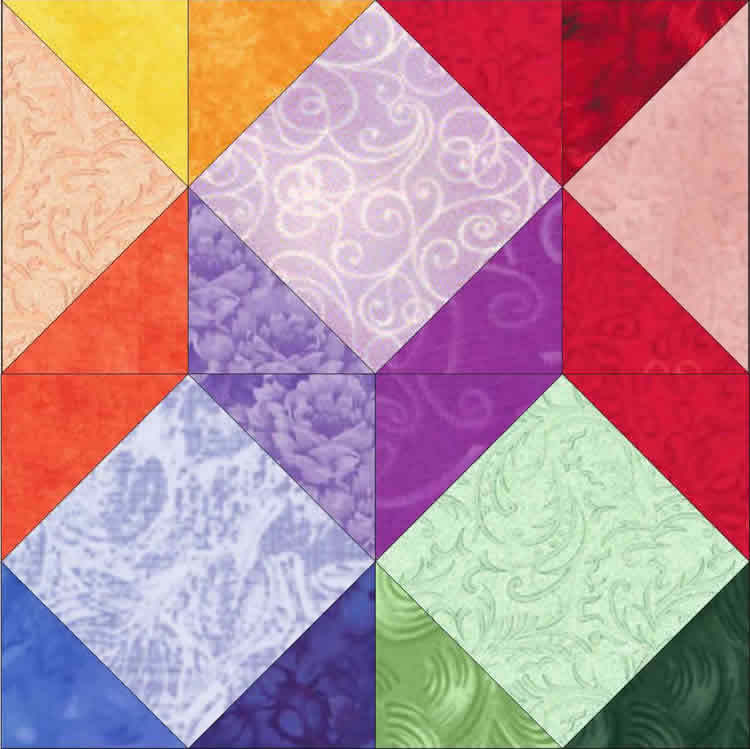 Tumbling Blocks is brilliant as a scrap quilt and even better as a planned quilt! No Diamond construction makes Tumbling blocks appropriate for beginners through pro's. Totally pieced, quilted and joined in the hoop. block arrangement. The dramatic tumbling effects are achieved by controlling color values and ALL INSTRUCTIONS ARE INCLUDED. * The image at the top left of this page is a composite.